Today is WOW! 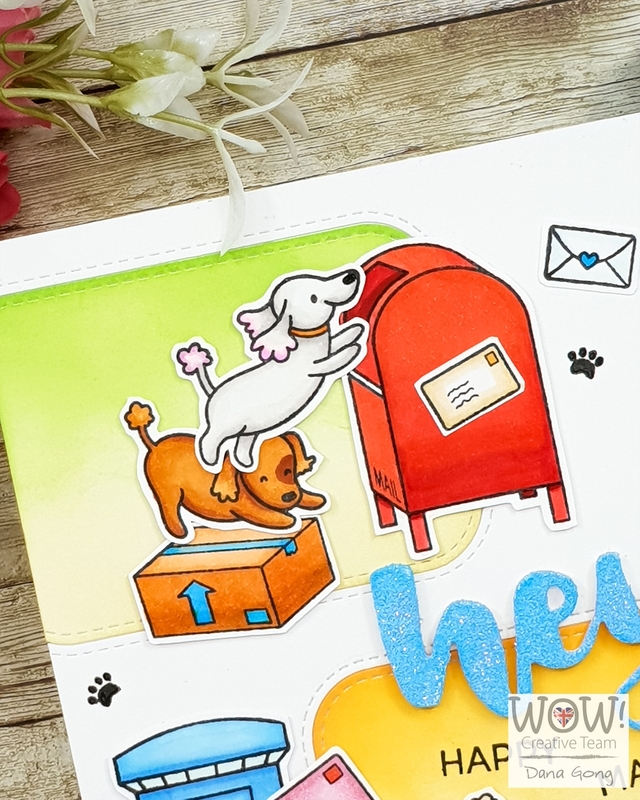 Embossing Powder and Heffy Doodle Stamps Collabo Instagram Hop day! Hope you hop along with us! Here is my card for today. 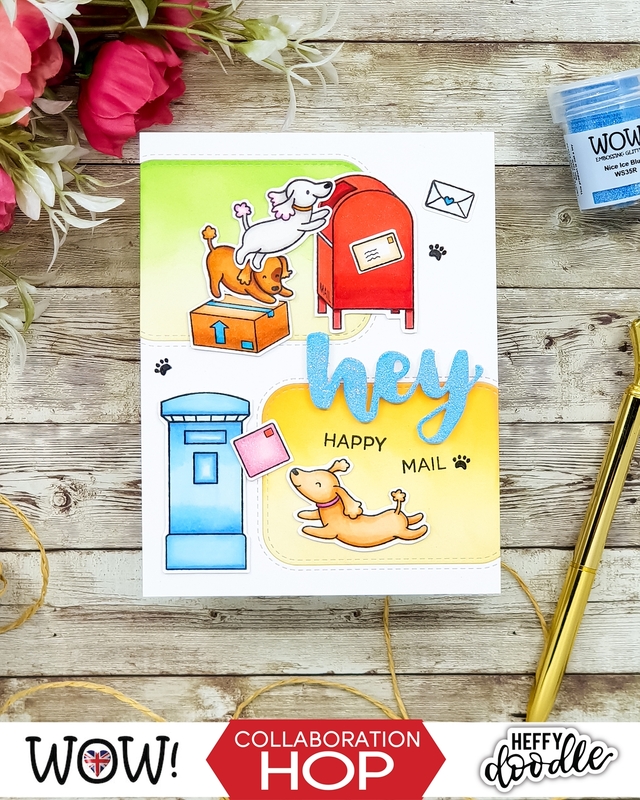 I started by stamping adorable images from Heffy Doodle Yappy Happy Mail Stamp Set onto white card stock and colored them with Copic markers. I cut the images using scissors. Next, I created a background by die cutting a part of A2 sized white card stock. Then, I ink blended each rectangles and mounted as shown. I used Mowed Lawn, Spiced Marmalade and Antique Linen Distress Oxide Inks and mini blending tool. 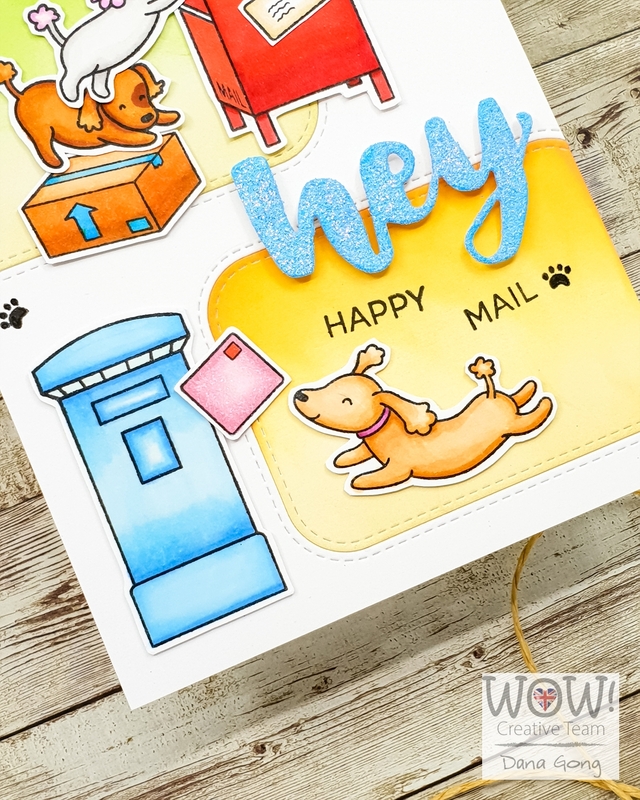 I die cut 'hey' using Heffy Doodle Hey Heffy Cuts and rubbed it with WOW! Embossing Pad. 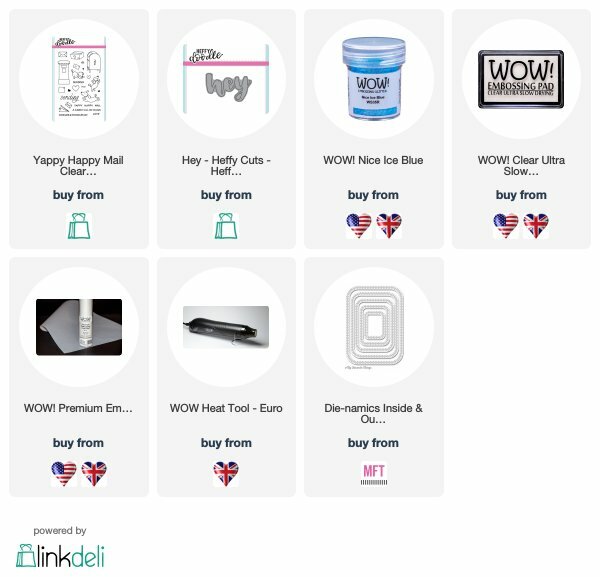 I sprinkled WOW! Nice Ice Blue Embossing Glitter and heat set it two times. To finish, I mounted all elements using foam adhesives and stamped small images here and there from same stamp set as shown. That's it for today. Happy hopping and good luck, everyone! 6 powders from winner’s choosing along with a WOW carry case to store the powders safely in. Dana Gong @danag_crafts <- It's me! Heartfelt thanks for your lovely comment, Christine!